Please Note: This item is considered a hazardous material by the DOT due to the alcohol content, and any orders containing it will be shipped via UPS Ground service. At this time, we cannot ship this item to Alaska, Hawaii, Guam, Puerto Rico, any international locations, P.O. Boxes, or military addresses (APO/FPO). You may want to consider placing a separate order for this item, as it will cause your entire order to be shipped via ground shipping. 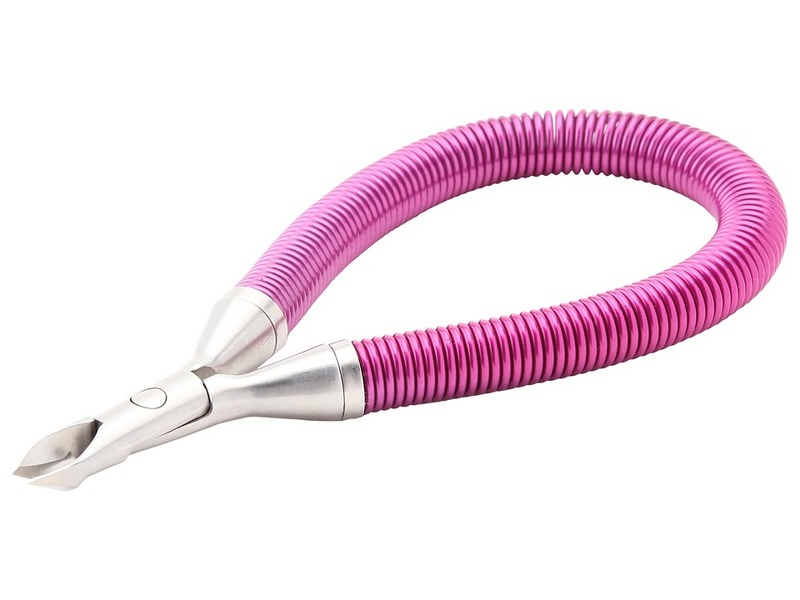 Please note: The Grip Snip Spiral Spring Cuticle Nipper comes in two colors: blue and pink. However, there is no way of choosing what color you will receive upon ordering. You will either get blue or pink. The Grip Snip from Tweezerman features a spiral spring for the ultimate in style, comfort, and control. The looped handle maximizes precision and provides a no-slip grip, while the opening and closing action is ultra safe and smooth. Made of premium stainless steel. To use: Just squeeze and release the comfortable spiral spring to operate the precision blades with ultimate control. The Secret To Never Needing Botox!